This summer in the U.K. We are really having amazing weather, we have been in a heatwave for little over a month now it's still staying hot! And because of this our skin suffers a lot. This weather can cause dryness and dehydrated skin which isn't the best look for when you want to wear shorts or skirts. 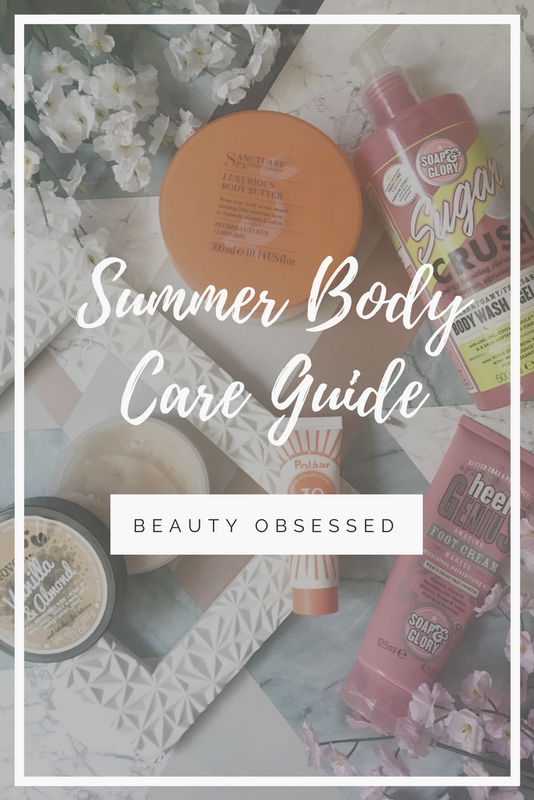 With this guide I will show you all of the products that I use on my skin to keep it feeling great in this boiling hot weather. In this weather there is nothing I like more than having a cool shower with a really refreshing shower gel, and this is the one that I always reach for. The smell of this product is the same scent of the sugar crush Hand Food that I was kindly gifted from Soap & Glory for being apart of their #babesofglory programme. This body wash leaves the skin feeling really refreshed and and soft. Sometimes I find that some body washes can actually dry out my skin but this one does the exact opposite. When going abroad I always take my body washes with me and since discovering this one I have been taking it away with me ever since, it is a large size meaning it would have to go into your hold luggage but I like to put it into some travel containers if I'm only taking hand luggage. I got this whole set for Christmas and only started using the Scrub this summer and have become addicted! Firstly it has the best scent I have ever smelled and I'm really not exaggerating! It's sweet almond and vanilla scent smells like something really good enough to eat (but I wouldn't). This product is a sugar scrub which is perfect for all over the body exfoliating because it isn't too rough on the skin like a salt Scrub would be but it's gritty enough to get the job done. I don't use this product everyday but around once or twice a week is perfect at keeping your skin extra soft and it also hydrates your skin because of the almond oil in this product. This body butter is one of my favourites in my collection (yes I have a body cream collection), its a very rich cream which has am amazing smell. It has a nice thick consistency which hydrates the skin straight away. 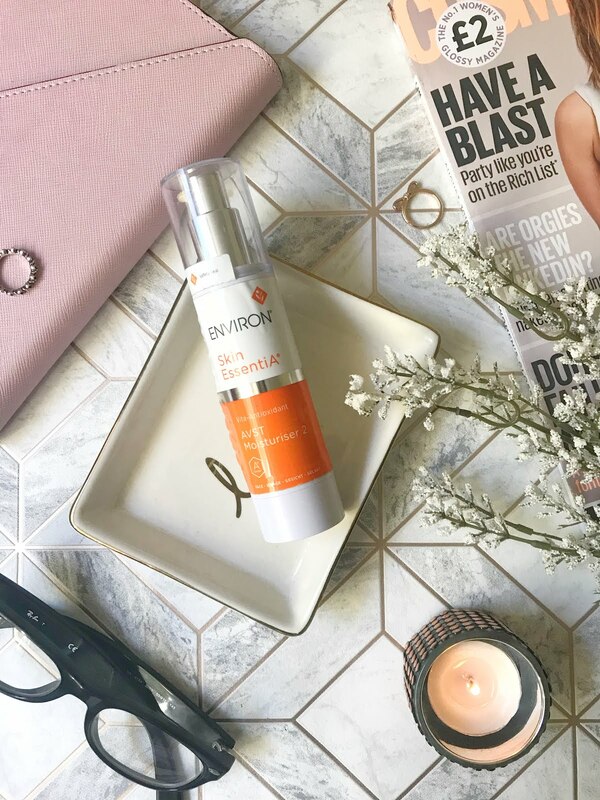 This is a product that I also like to take away with me to use to re hydrate my skin because in the sun my skin does tend to get very dry. The size is very generous and this pot has lasted me a long time and I still have a good amount left of this product. This is a pricier cream but a small amount of this product also goes a long way and only a small 10p size will be enough for each leg and arm! 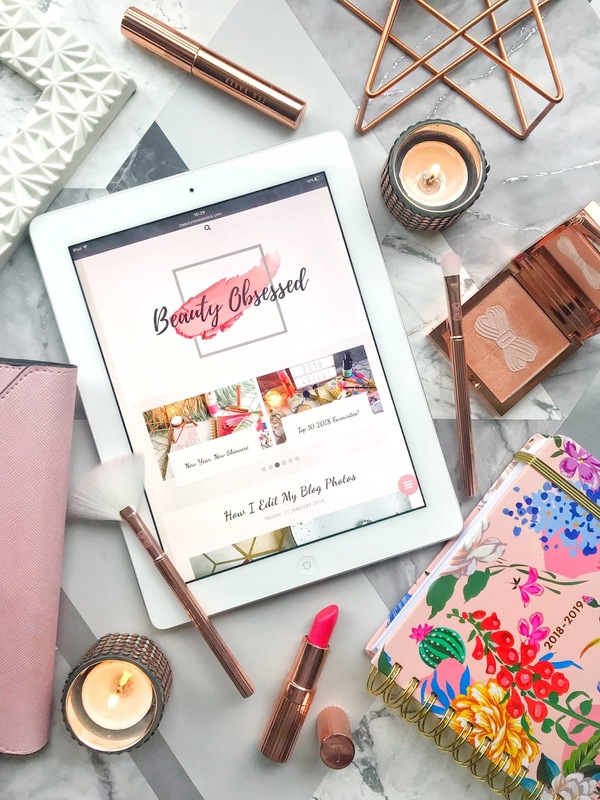 I have spoken about this product a few different times on my blog, in my June Birchbox post and What Im Still Using From My Birchboxes post so I wont go into too much detail. I have actually ordered the full size version sun cream and its currently on its way to me. This sun cream is perfect, it just goes on like a dream and sinks into the skin straight away. This sun cream also doesn't have the usual smell that other creams have and it doesn't give your skin that white cast on the skin which looks horrible! its pretty pricey but im saving it for my holiday. I have recently just rediscovered this foot cream this summer and it has now become a part of my daily body care routine. In the summer when I wear a lot more flip flops and sandals the heels of my feet just get a lot drier and cracked which I hate and this product literally saves my feet. It makes them feel a lot softer and helps to get rid of all the dry skin around my heels. I use this cream everyday after my bath and its make a really big difference in the softness of my feet. This cream contains ingredients like macadamia oil to make sure out feel stay extra smooth throughout this heatwave! Body Care is such an essential part of out beauty routine, we need to make sure out skin is taken care of especially in this hot weather as it can just dry out our skin. What Body Care products have you been using lately? The Soap and Glory sugar crush is my favourite scent ever, its so fresh and perfect for Summer! I'll have to give the other products a go, I have a foot cream at the minute but am trying hard to remember to use it because you're right its so important over Summer to keep everything moisturised! Honestly all of this sounds bloody gorgeous! Especially the vanilla and almond scrub - I usually adore any beauty products with almond in! 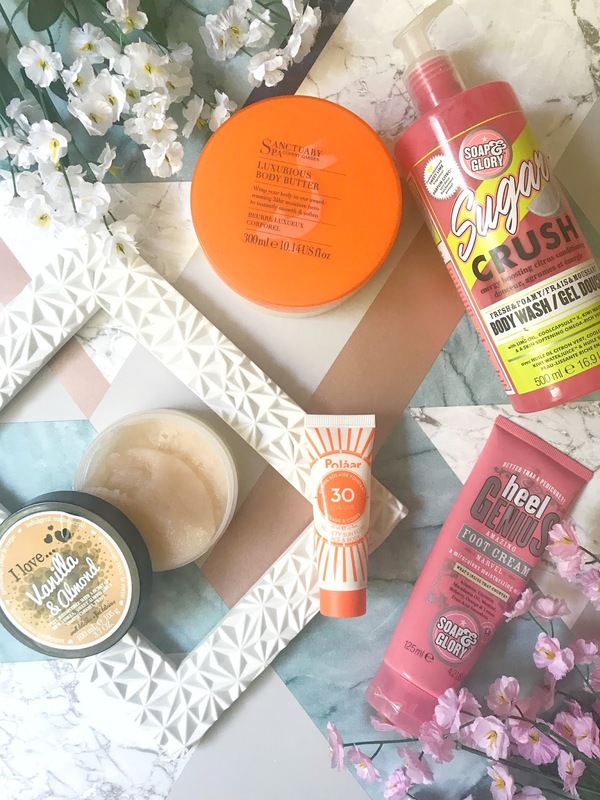 There are so many things from soap and glory that I've been meaning to try for the longest time and I'm so tempted to go and grab a haul of them now as I've seen so much love around them recently. Definitely agree our skin needs extra care in this weather too!